With Concurrent Engineering, you'll quickly realize value from your Pro/ENGINEER investment. Our experienced consultants incorporate our standardized, cost-effective approach into every service offering to ensure a successful implementation with widespread user adoption. Configuration services enable customers to quickly take advantage of Pro/ENGINEER's powerful capabilities. Personalised configuration services designed to meet unique customer requirements are also available. Unlike many software vendors, PTC recognizes widespread adoption is critical to any technology deployment. PTC's adoption services drive user acceptance through role-based needs analysis, training, and organisational readiness planning. Already using Pro/ENGINEER? Want to get better at it? The Digital Model Definition Optimiser improves your team's proficiency with Pro/ENGINEER by at least 20% - guaranteed. 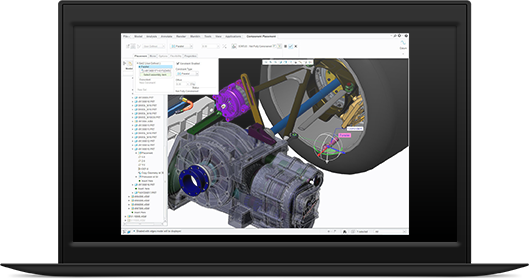 Whether you are migrating to Pro/ENGINEER from another CAD tool or upgrading to the latest Pro/ENGINEER release, PTC Global Services has the tools, methods, and experience to make this an easy, low-risk transition.